England’s leading Test run-scorer, who retired from international cricket at the end of the last summer, becomes the eleventh Englishman to be knighted for services to cricket. The Gloucester-born opener previously received an MBE in 2011 and five years later was upgraded to CBE. 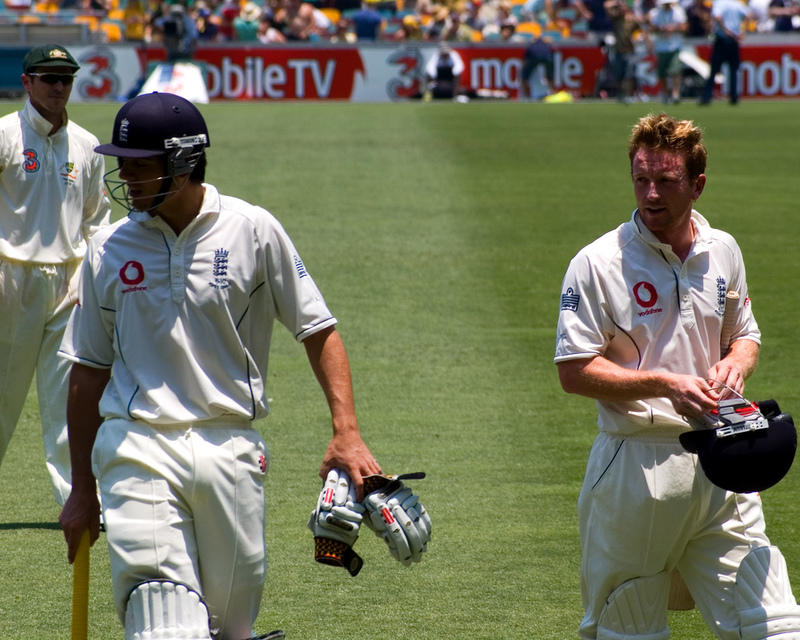 Cook will be remembered as one of England’s greats; however, his knighthood has sparked debate whether Charlotte Edwards CBE should be honoured to the same degree. Edwards’ career at international level spanned twenty years; racking up over 10,000 runs in an England shirt whilst leading the transition of the women’s game from amateur to professional. Only time will tell if she will receive the same commendation as Cook for her contribution to the ever developing sport. Away from cricket, following an unforgettable summer for English football, Three Lions manager Gareth Southgate and captain Harry Kane were awarded OBE and MBE respectively. Kane, the tournament’s top marksman, led a young and talented side that reinvigorated the nation’s love for its national side. Southgate’s tactics (and his fashion choices) captivated the country as England reached the World Cup semi-finals for the first time since 1990. Former footballer Leroy Rosenior also received an MBE for his role in fighting racism within football. Rosenior has long spoken out against racism he has suffered as a black manager and is now Vice President of Show Racism the Red Card. He recently publicly challenged former footballer Dave Kitson following his comments over the racist abuse directed at Raheem Sterling. Cyclist Geraint Thomas has been recognised with an OBE after he became the first Welsh-born British winner of the Tour de France in July 2018. Following his triumph in Paris, Thomas had his MBE upgraded that he received in 2008 following his success at the Beijing Olympic Games. The award capped an incredible month for Thomas who won the BBC Sports Personality of the Year earlier in December, beating Formula 1 driver Lewis Hamilton and the aforementioned Kane to take home the accolade. Former Great Britain and Irish Lion, George Weir was appointed MBE as a result of his charity work for motor neurone disease. “Doddie” Weir, a Lion on the 1997 tour, was himself diagnosed with ALS in 2017 and has worked to raise awareness and funds for research to find a cure for the disease. The Scot represented his country 61 times during his playing career and his efforts have raised over £1 million to date. The successes of Cook, Southgate and Thomas in their respective sports are undeniably impressive and ought to be recognised in some form or another. However, whether a mention on the Honours List is the correct form of appreciation is often a talking point especially when salaries are taken in to account. Introduced in 1917, The Most Excellent Order of the British Empire rewards contributions to arts, government, medicine, and science over a long period of time. However, the line between MBE and OBE and what can and cannot constitute a nomination is often blurred in the public eye. Comparisons, albeit sceptical ones, are often drawn from Honours Lists questioning some awards. For example, the award of three MBEs to divers Joshua Bratchley, Lance Corporal Connor Roe and Vernon Unsworth who were involved in the rescue of the Thai football team trapped in a cave for over two weeks. Acts of true bravery in the most extreme conditions, without doubt deserve recognition and duly have been. However, from a cynic’s point of view, the same level of decoration for the life-saving divers and the England football captain may seem ludicrous. With one paid millions to run round a field and others performing acts of heroism in the face of diversity, it is understandable how the criteria for such awards can become vague. Nevertheless, sport continues to play a huge role in our society and whether or not you agree with sports stars receiving awards based on their performances, their service to their sport and as role models for so many must be celebrated somehow.